Pangnirtung, located in central Baffin Island, is a desolate town of no more than five hundred people nestled in a fjord. Although there is only one place to stay in the small town, you can camp out on the hill side overlooking the cold atlantic water off the Davis Straight. It is suggested that you fly up or down the fjord to see cliffs whose rock faces are more than 4,000 feet tall. The original Hudson Bay Company is located in this small town as well. 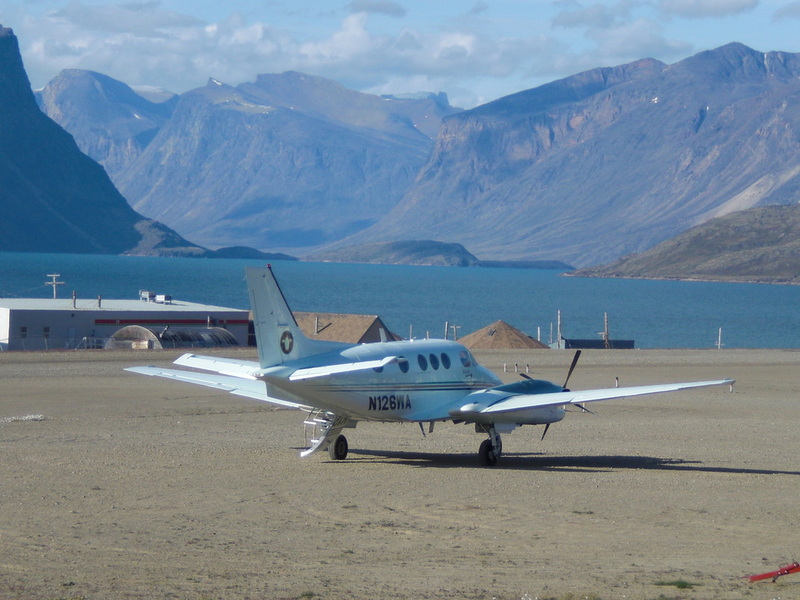 Mark, his son Nelson, and their friend Fred Scott (his King Air 90 is pictured) traveled up to Nunavut as well as Greenland to experience the majestic mountains and landscapes. Send Mark your aircraft adventure and a photo at mark.hegg@comcast.net and we'll feature it on our website!